This Week we are going to celebrate the Sweet Treats of the Season. The little one's are going to have a fun time with Gingerbread, Candy Canes and Hot Cocoa. Save even more with a Pre-K Printables Club Membership Find out how you can join! You can add all kinds of Scents to your Dough and paint this week for some added festive fun. Try peppermint, Gingerbread Seasonings, and Cocoa Powder. Demonstrate how to make "Dough Candy Canes" by rolling coils out of Red and White Peppermint dough. Inspire the senses! For an added treat consider this peppermint play dough invitation from Funtastic Fun and Learning. There are so many fun ways to incorporate the Sweet Treats theme into your Dramatic Play space this week. Encourage your kiddos to bake. Add cookie sheets, Mixing Bowls, Plastic Cookie Cutters, Aprons, Oven Mitts, and Seasonal Cook Books to your dramatic play space. You can cut out fun felt cookies, Laminate Paper Cookies, or encourage the kids to create their own baking Creations. This Pretend Slice and Bake Christmas Cookie Set from Melissa and Doug was a big hit in my Daycare. A note from the Manufacturer: Slice and "bake" a dozen wooden cookies, then decorate them for Christmas. This colorful play-food set includes a tube of 12 sliceable cookies with 12 decorative toppings, an oven mitt, wooden cookie sheet, knife and spatula, plus "baking" directions to encourage unlimited imaginative play and learning. 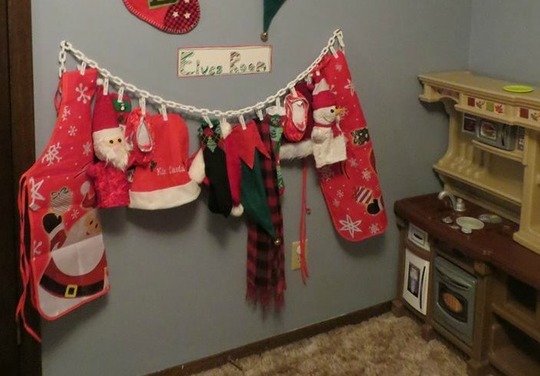 It's a festive way to reinforce basic skills, encourage creativity and celebrate the holidays. 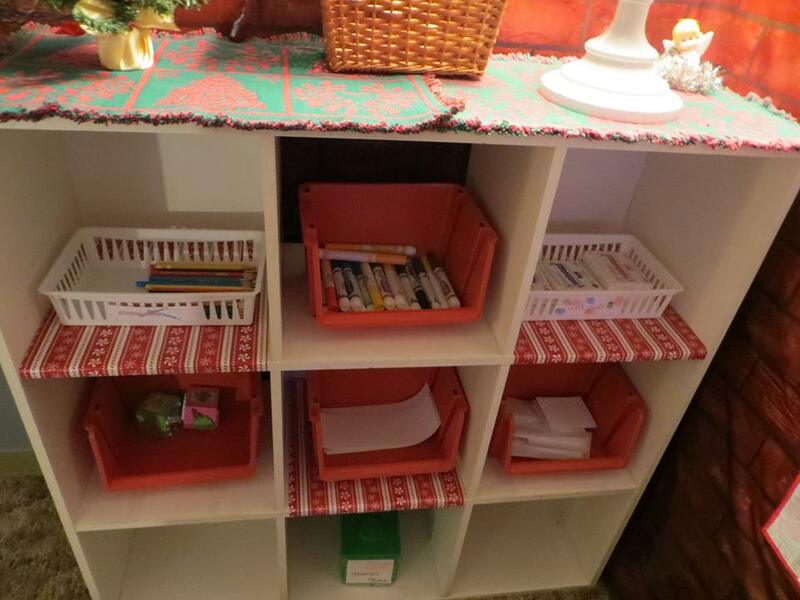 The clever dramatic play space is belongs to Pre-K Printable Fun community member Amy McMonagle with BuggaBee & Me Day Care and Preschool. Amy has it all ready for the Holiday Season. Don't forget the Hot Chocolate! Add Plastic Mugs, and empty Hot Cocoa tins to your space this week (Don't forget to send a shout out to your clients to save them for your space), Cotton Balls make fun pretend "Marshmallows". If you are up for a DIY project, consider building a Gingerbread house for your Daycare. This adorable one to left was created by Pre-K Printable Fun community member, Kristin Moeller of Apron Strings Daycare. Encourage the kids to build their own Gingerbread Houses from blocks. Add White Felt snow, Large Pom Poms and Gingerbread People (Laminate Paper One's, or Purchase Plastic ones for the space) to the space. This Gingerbread House Play Set from plan toys inspired imaginative play. This Candy Construction Set from Learning Resources would make a great addition to your construction Space! A note from the Manufacturer: Build some sweet structures. Stretch those creativity, problem solving and fine motor skills. Includes chunky, durable candy pieces in a variety of fun, familiar designs plus Activity Guide with illustrated, step-by-step building directions. Largest piece measures 7"L x 1/2" in diameter. Set of 92. These Smart Snacks Ginger Bread Sort & Snap Cookies are the perfect toy to add to your Space this week. They are a great Toy for Patterning, Sorting ((boys, girls, hats, stripes, buttons or shoes), and can even be used in the Dramatic Play Area for some Baking fun. They even come with an activity book to extend the fun. Children will love re-telling "The Gingerbread Man" story with this adorable Gingerbread Puppet Set.